Measure in FEET not Inches! Built on cutting edge technology. Lightning fast. Create hundreds of large format models. Simple yet powerful multi material options allow you to create any type of model you can imagine. It's one of the most versatile machines ever made. ErectorBots are created with modern drivers and software in mind and are built open to run cutting edge open source technologies. Build BIG content on the fly with new server side station option. No more bouncing between computers for software and settings. Everything needed to create stunning and beautiful models in one spot at the push of a button. 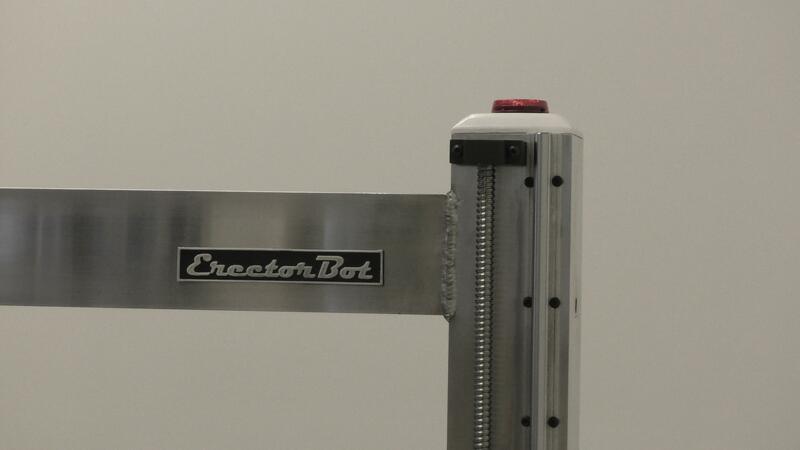 ErectorBot is the leader of large format 3D printing gantry machines. With over 36 standard sizes to choose from, accommodates all users. ErectorBot is a perfect tool for schools, small business, makers, model shops and developers of LARGE THINGS. Ask about our HD line for homes and more up to 60 foot builds! We made sure that there are plenty of sizes available for you to choose from. MACHINES RANGING FROM 2 FOOT to 60 FEET! Make the most of your skills and enhance them with cutting-edge ErectorBot technology. ErectorBot Large Scale 3D printers are capable of using larger diameter tips. This allows for blazing fast prints. Larger beads stack up quick. Yet we still command high detail with the use of a second extruder. ErectorBots gantry system allows for precision when is needed most. As your model grows up, the added weight is not a concern. The table stays put as our gantry does all the work. Moving tables are great for desktops, yet not very practical for large scale. Here at ErectorBot, we feel it is necessary for the end user to be able to grow and learn with our machines. As new process develops so does new ideas. Our system is open source electronics to be run with any preferred flavor or tool-chain of software combinations and firmware. ErectorBots are jam packed with features and available upgrades. As individual needs are apparent, our agents spend quality time to understand your unique situation to present a list of options in a formalized quote that best suits your process. ErectorBots are capable of refining or in most cases re-inventing any workflow to be faster and more efficient. Great for tooling, testing, schooling or even final end product, ErectorBots can change your entire process. Time is money and when you have a large scale ErectorBot. You get your time back. All those tedious hours of making things the hard way are a thing of the past. Not to mention the quality models just keep coming. We understand that not all process is the same. ErectorBots are also routers, cutters, welders and much more. If you have a special need we have the answer. Not everyone has the time to learn what is needed to run an ErectorBot. Time is critical when your business is on the line. We can tailor a ready to go suite of software and options to seamlessly integrate any situation. Remote support is available with every ErectorBot. 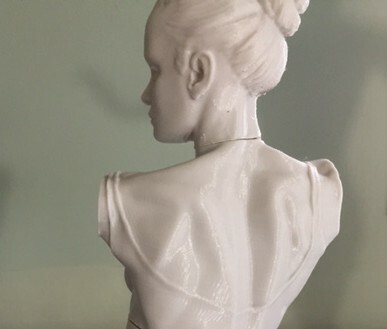 We can not only assist your model development and settings, we can even drive and print with your machine remotely. This is a major asset for those moments when you really need a hand. Or even should you choose to run the machine yourself from another location. ErectorBot comes with an HD camera for remote monitoring and assistance. This means while you can keep an eye on those very important prints from anywhere. Time lapsed events, videos and more.. I'm in. Buy a Large Format ErectorBot now! With ErectorBots high quality Micron3DP extruders and stationary bed design, fine details are produced to perfection. As one should expect compared to smaller desktop machines. With over 36 standard sizes to choose from, ErectorBots can be setup to compliment any environment. ErectorBots can be custom ordered up to 60 feet. Multi-material and amazingly fast builds. Create outstanding models without limitation. Big Bots have more fun! ErectorBot’s come in all sizes! ©  — ErectorBot, Inc. Theme by HB-Themes.